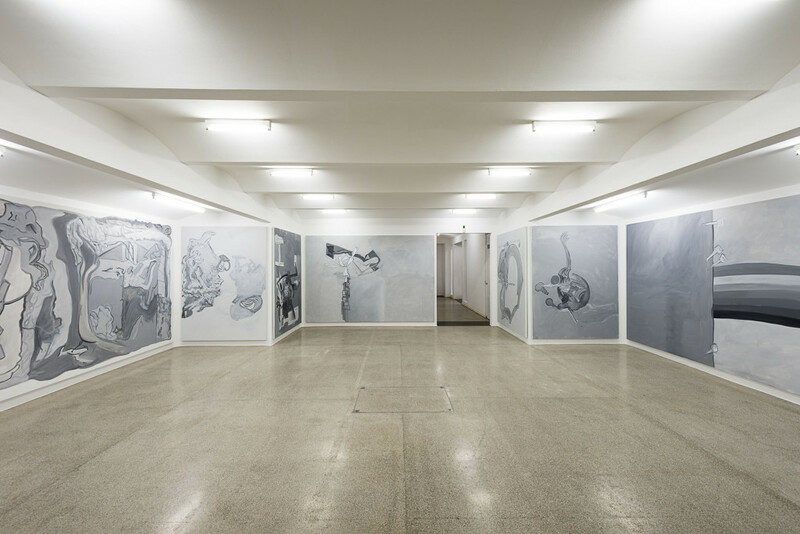 Tobias Pils is showing a new cycle of work created especially for the Secession, which comprises largeformat paintings and a site-related installation. In the run up to the exhibition and before the actual painting process, Pils made an intense study of his proposed exhibition concept. The result is an exhibition of painting that conceives production and presentation in an integral way, merging them into a unit. Pils works primarily in the media of painting and drawing but he has also frequently realised or conceived projects in or for public space—often in cooperation with friends who are artists, musicians or writers. Pils’s working method is characterised by the fact that when beginning a new piece of work he attempts to forget all past works (1), and engages with a motif. This motif can be “anything from a traditional allegory to an abstract rhythm or harmony.” (2) In analogy to this and transferring the principle to the larger unit of the exhibition, Pils chose the Secession itself as a leitmotif and source of inspiration for his exhibition in the gallery. Intertwining elements and characteristic forms like the motif of the laurel-leaf dome—the Secession’s ultimate hallmark—flowed as if naturally into his pictorial language. The simple exhibition title Secession points to the exhibition venue as a reference but its restraint also allows sufficient space for distance, irony and—artistic freedom. 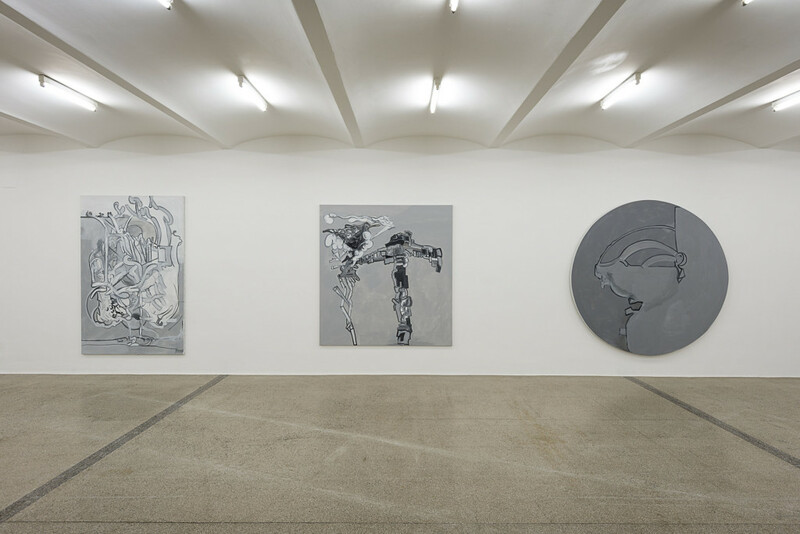 And so in some visual or conceptual quotations, Pils takes up historical references relating to the Secession and the zeitgeist in Vienna at the start of the 20th century as a whole without compromising his consistent work on painterly issues in any way by doing so. Intuition, inspiration and individuality are criteria relevant to Pils’s painterly oeuvre, and form the basis of his understanding of painting as a language and means of expression. 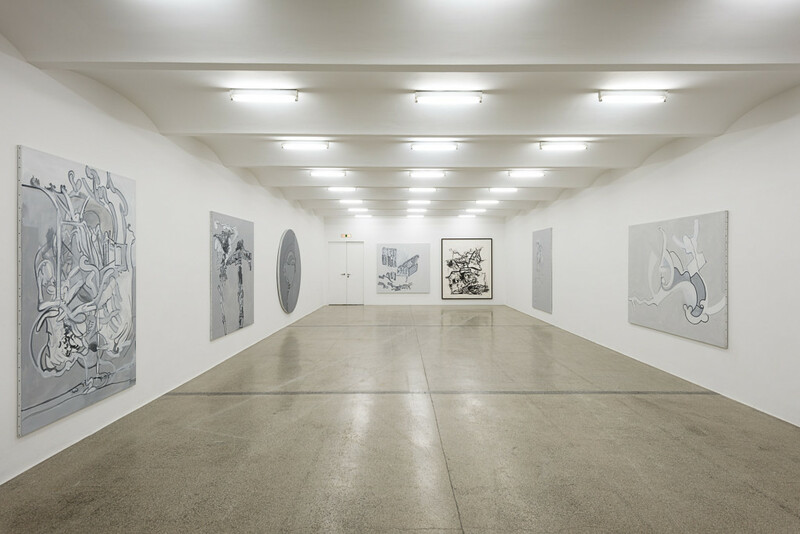 Pils works with the large format, which—due to the specific demands it makes on the artist’s physical constitution—also allows the physicality of painting to become an image-constituting factor alongside his characteristic pictorial language. 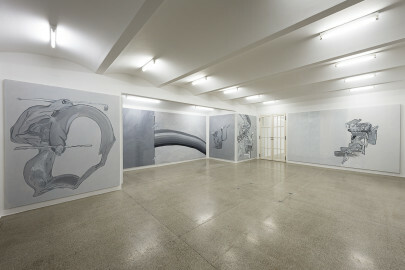 Pils’s pictorial language as developed in recent years combines expressive elements with geometric structures such as grids, but never quite cuts the link with representation despite its dominant tendency towards abstraction—whether this link results from fragments of “reality” or through references to the topos of landscape, for example. 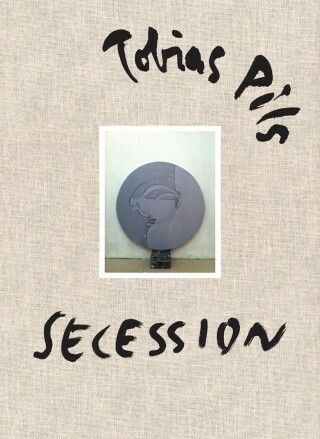 Pils’s exhibition in the Secession seems to explode the spatial limits of the gallery and to swell far beyond them. 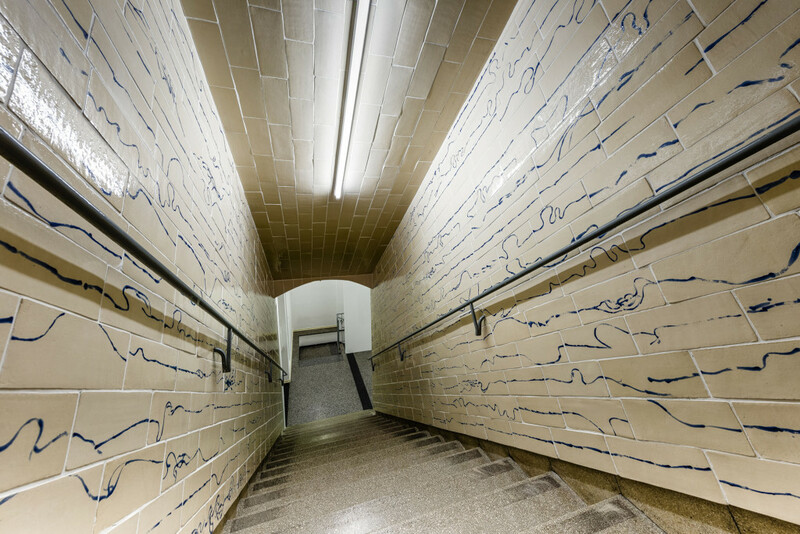 Visitors already encounter an artistic setting shortly after entering the building, in the stairwell, which is faced with hand-made ceramic tiles, painted by the artist with wavering blue lines and so transformed into a “tunnel”. This awakens memories of New York subway stations or also of the nearby urban railway stations designed by Otto Wagner, which in turn served as a role model for Joseph Maria Olbrich, the architect of the Secession. The blue-painted tiles with their wave motif evoke a naïve, childlike representation of water; equally, they could be alphabet characters of a foreign, unknown language. Pils’s sensuous and simultaneously ironic staging is continued at the end of the “tunnel”, where a circular painting directs the visitors’ gaze and so leads them into the actual exhibition rooms. The overture in the stairwell is followed by the first act with a crescendo: the entire wall surface of this space set out in the shape of a Greek cross is covered with pictures. The canvases are fitted onto the wall areas and into niches but they cannot fill them completely, being more like a “tailored suit that has turned out too small” (Pils). Lavish facing of walls in art nouveau interiors like those in Palais Stoclet by Josef Hoffmann or Adolf Loos’s wall cladding made from precious stone—a form of organic abstraction—was the model here. 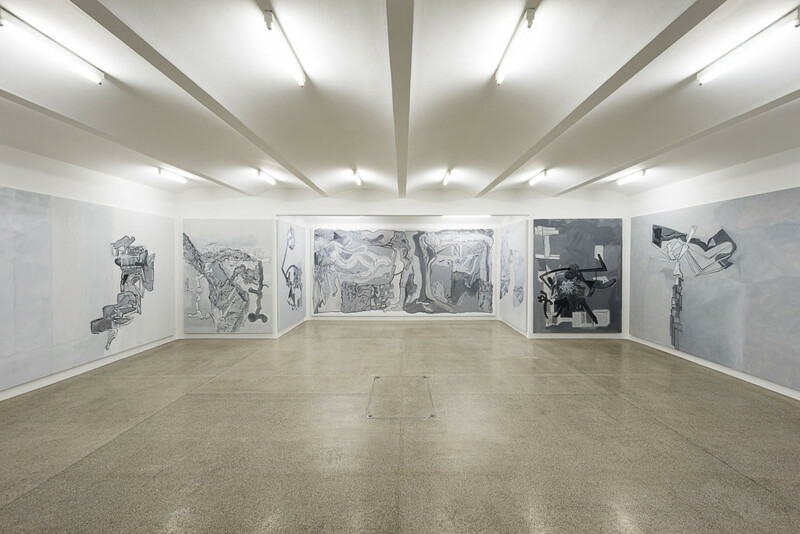 In the last room of the gallery the tension is finally released: individual “motifs” emerge from the visual furore and the images regain their autonomy and individuality. 1 “I don’t believe in solutions (….) so I try to forget every painting before I start a new one.”, Richard Shiff, “Tobias Pils. Motive”, in: Tobias Pils. Secession, exhibition catalogue, Secession, Vienna/Berlin 2013, p. 6. Tobias Pils, born in Linz in 1971, lives and works in Vienna.